Luxury car in economy class. Audi s4 is a very nice car, reliable and comfortable. Driving experience is great when you consider performance. Especially if it is turbo, you save a lot of money on long distance trips. My car is manual transmission, that is why I especially got this car. Engine sound and changing shifts are extremely fun. The car is a classic for sure but comes with issues. It is not a bad car but because it is so old, it is hard to fix small issues. For instance, the air conditioning wasn't working right but car dealers charge so much extra to fix it. The car door wasn't locking properly either. Most cars nowadays have smart features that this car is incapable of doing. The gas pedal is sensitive. Be careful when you accelerate. My family car is an Audi s4 convertible. We bought it used but it looks very new. It's the most fancy car we've ever owned. It drives really good and has gusto. 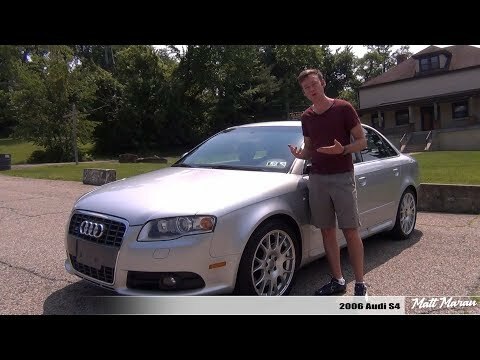 2004 B6 Audi S4 exhaust and review.